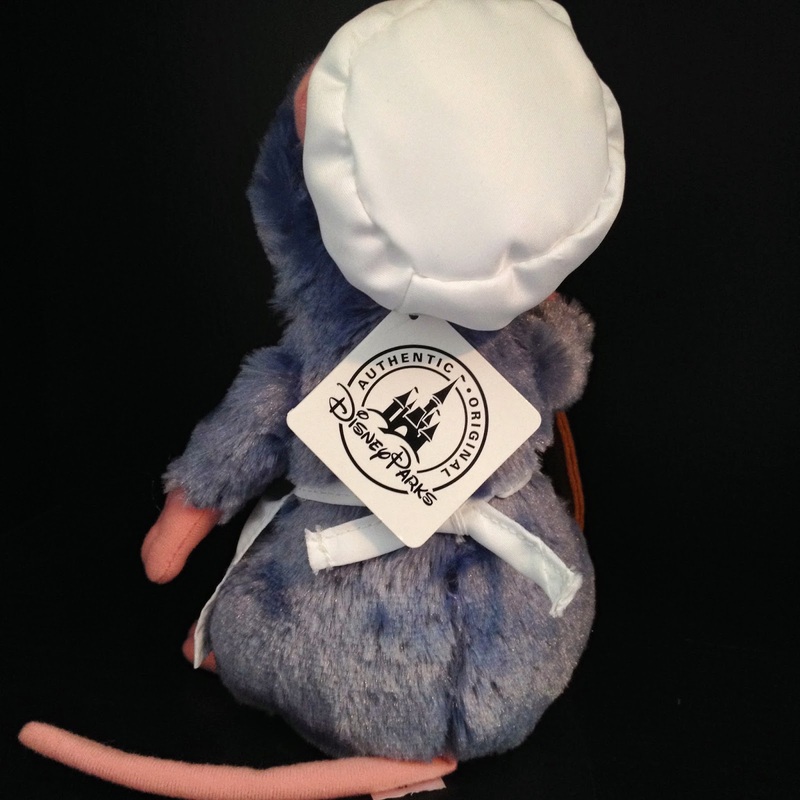 Back in 2007, Ratatouille merchandise was short lived. It came and went quickly and I've always regretted not getting some more of the cool items that were released. 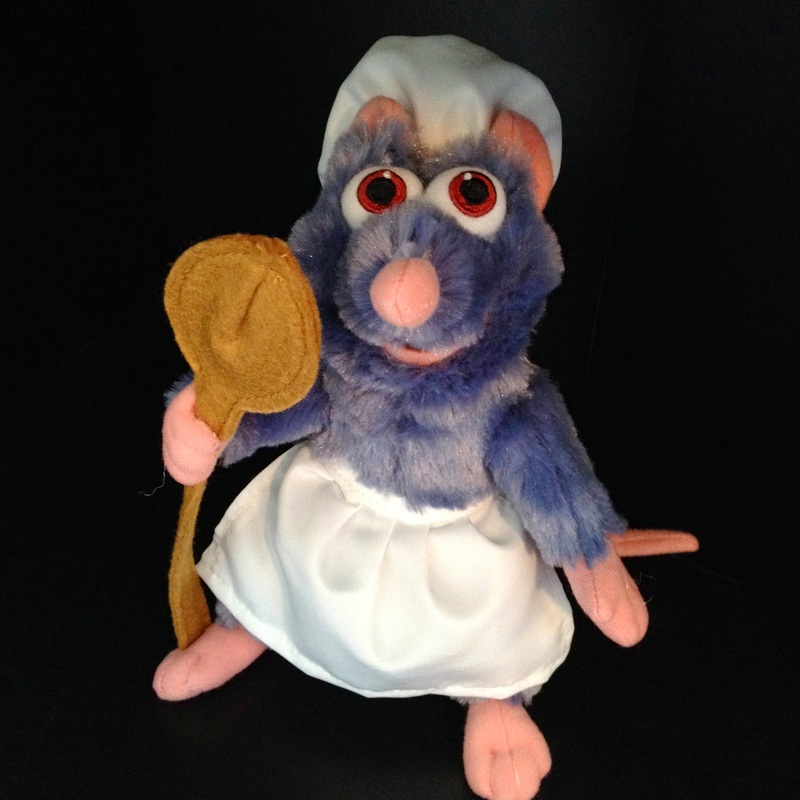 Since then, new Ratatouille products are few and far between, so when I saw this "Chef Remy" plush at Disney World this past month, it was instantly added to my wish list. This plush toy is soft, well made and stands at about nine inches tall. He's currently available and is sold exclusively at the Disney Parks and at Downtown Disney. I saw him at the Main Street Confectionery sweet shop in the Magic Kingdom and at Downtown Disney's World of Disney store. I'm sure there were other places as well, but those are the two that immediately come to mind. If you're a Ratatouille fan or a Disney/Pixar fan in general, I definitely recommend getting this cute little guy next time your at the Disney Parks. If you're not planning a Disney vacation any time soon, no worries. You can order this calling the Disney World Merchandise Guest Services/Mail Order Hotline at 877-560-6477. If you call that number, they will charge you the "in parks price" and you will only have to pay shipping. Pretty good deal if you ask me! As a side note, I'm really jealous of the Ratatouille ride that is opening this July at Disneyland Paris. I'm sure that not only the ride will be awesome, but that they'll have a sweet gift shop with sweet exclusive merch as well. If anyone here is a regular to Disneyland Paris, you'll have to let me know the fun details when you experience that this summer. Also, I need to give a BIG thanks and shout out to my wife Brita for getting me this fun plush for my birthday. She really took my wish list to heart! As usual, thanks for stopping by and be sure to check back daily for more items from my Pixar collection! UPDATE (6/12/14): My friend Fabien (from over at Pixar-Planet.fr) is a regular at Disneyland Paris. Thanks to him for sending over a link to one of his latest articles which shows off some of the new Ratatouille merch there. No doubt that these will soon be associated with the ride's gift shop! You can visit that page here. I saw that Remy as well when we were there as well. I was always on the fence about it since it just looks a touch "off". Thanks for also posting the link to Pixar Planet France's site - it was great to see that new merch coming. Am I a total dork because I want that Remy hat!! Ha!